Louis le Brocquy – R.I.P | Come Here To Me! 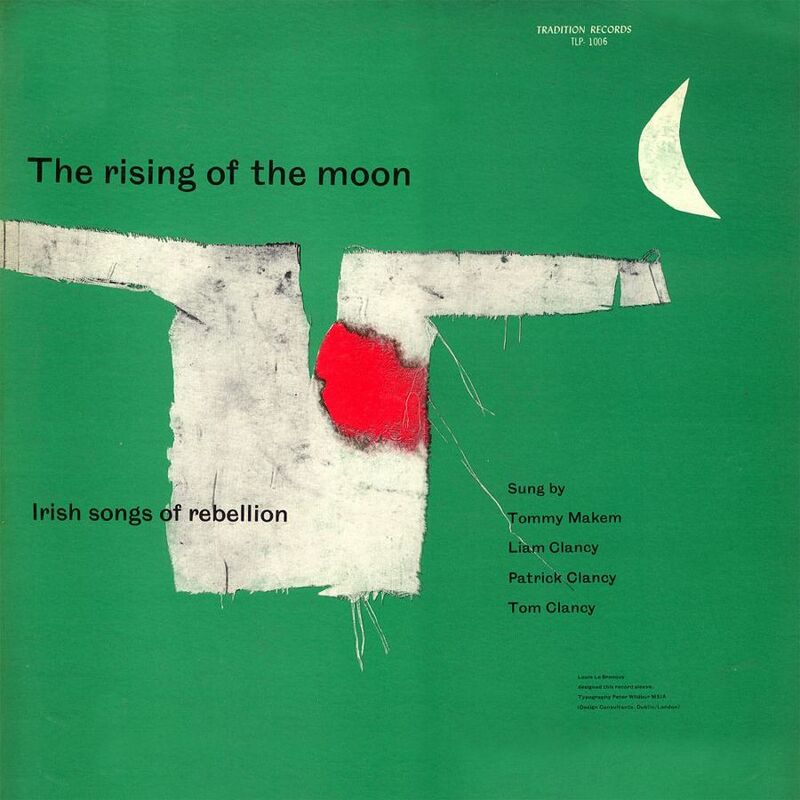 'The Rising Of The Moon' LP cover (Clancy Brothers) by Louis Le Brocquy. Saddened to hear of the passing of the great Louis le Brocquy today. Born in Dublin in1916, LE Brocquy is undoubtedly best known for his portrait heads of figures like Beckett and Heaney. Louis le Brocquy became the first living artist to have a work acquired for the National Gallery of Ireland’s permanent collection, when they paid €2.75m for his painting ‘A Family’. Undoubtedly, ‘A Family’ and his series of portraits will be discussed at length in the media in the days ahead, but I thought I’d share a more unusual le Brocquy piece with you, in the form of his fantastic cover for the Clancy Brothers ‘Rising of the Moon’ LP. The cover, to my eye, depicts the bloodied undershirt of James Connolly, executed on May 12th 1916. Today the shirt features in the ‘Soldiers and Chiefs’ exhibition at Collins Barracks. A fantastic 2000 interview with le Brocquy is available to read at the RTE site.